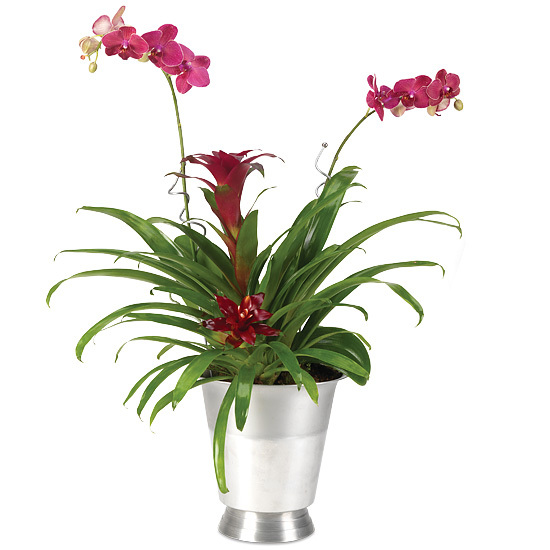 The lushness of the tropics can be enjoyed anywhere with this generous garden of exotic favorites. 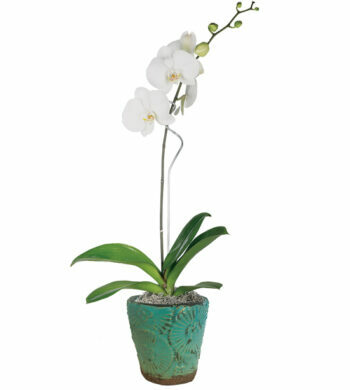 Makes a surprising gift for everyone from the orchid aficionado to the everyday flower lover. It blooms with the beauty of two phalaenopsis orchids and two tropical bromeliads. 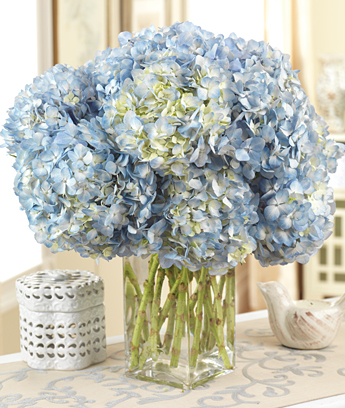 Our grower will pick the day’s best so colors may vary. An elegant aluminum wine chiller completes this extraordinary offering.